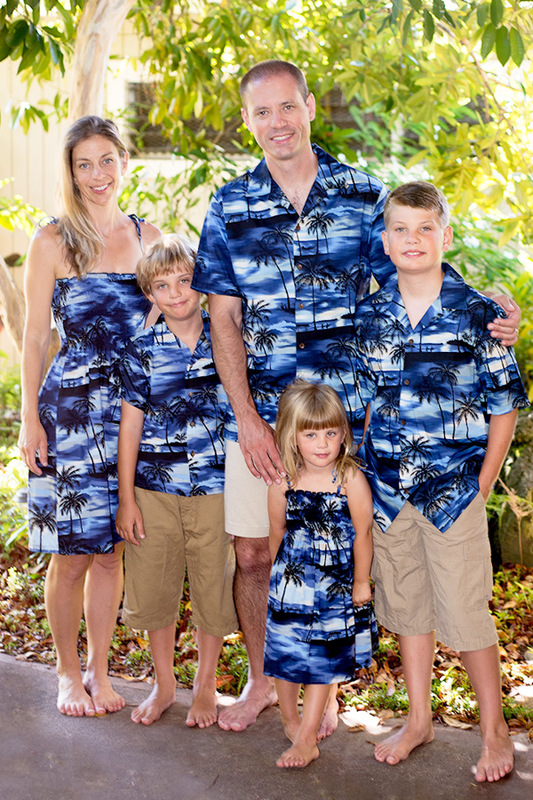 MauiShirts has dedicated effort into ensuring the colors of our prints are represented as accurately as possible when viewed through web pages. Please realize that there are no two monitors that will render color exactly the same. 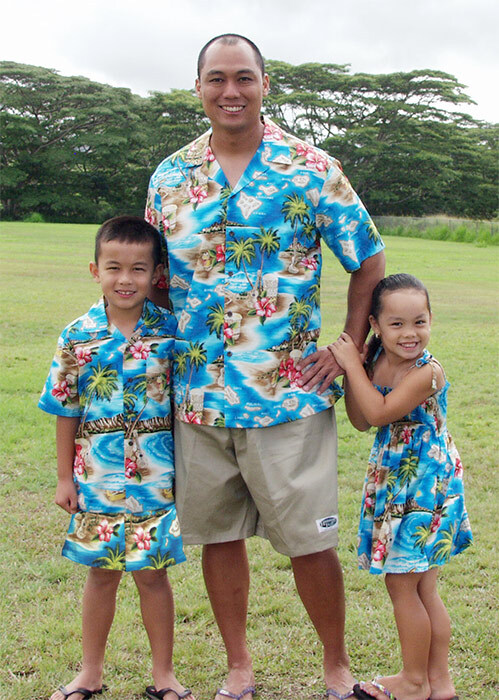 It would be a very difficult, at best, to match colors of apparel hanging in your possession to an exact color image, picture on the web site. 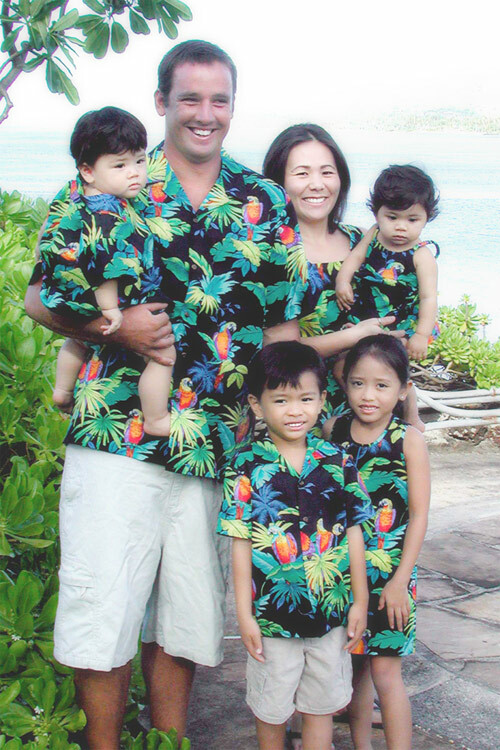 Also, it should be noted that many popular family prints are re-made to be re-stocked from time to time. There will be dye lot differences. If you are finicky and want precise matches, you should call first to avoid any disappointments or misunderstandings in case two styles are not a perfect color match. 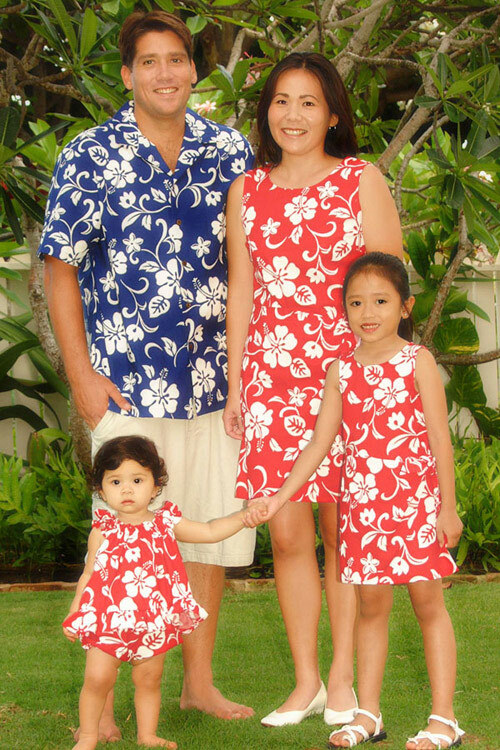 Click the images below for other matching family styles. 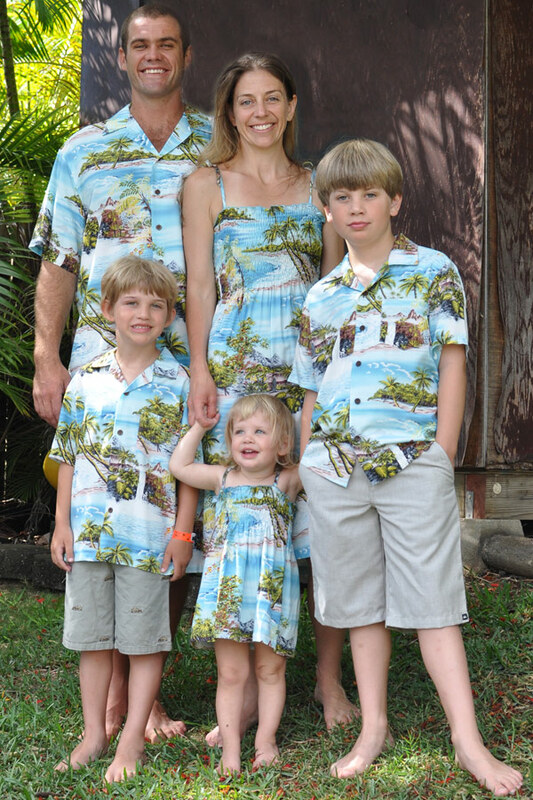 MauiShirts has paid serious attention into ensuring the colors of our prints are represented as accurately as possible when viewed through web pages. Please realize that there are no two monitors that will render color exactly the same. 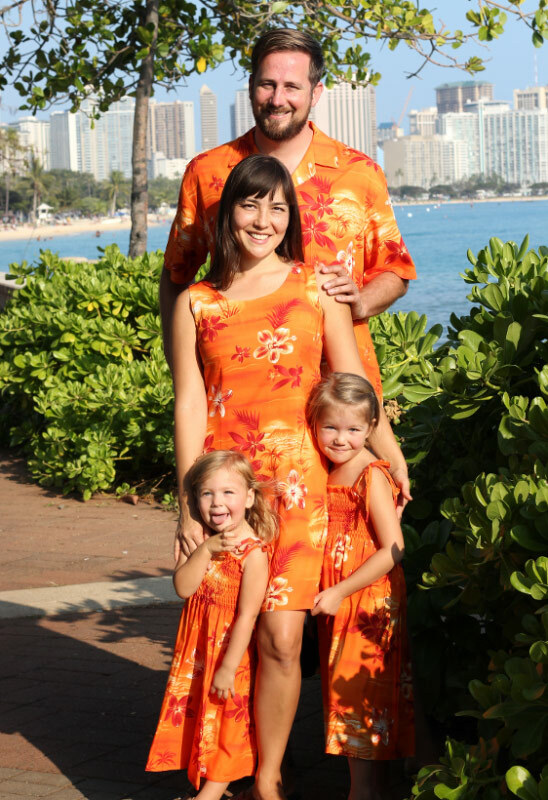 It would be a very difficult, at best, to match colors of apparel hanging in your possession to an exact color image, picture on the web site. 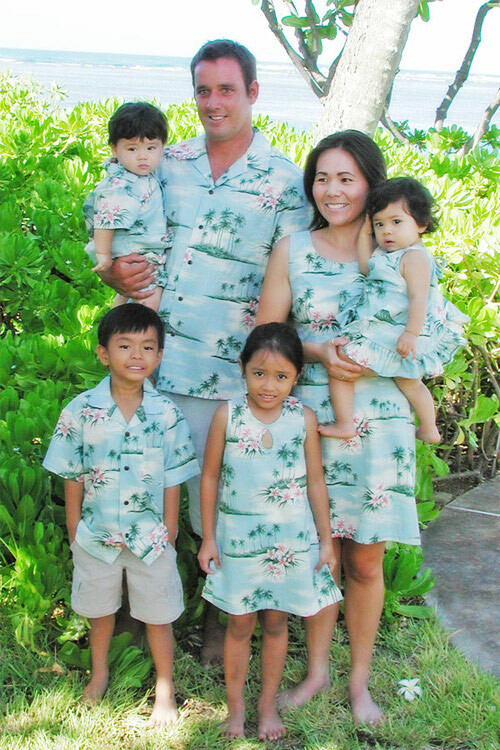 If the fabrics are available, MauiShirts.com, will be pleased to have any print Made-to-Order for you, if your selection is not readily available. There is no charge for this service, but it will require a wait of a few weeks to several weeks, depending on the print and color. 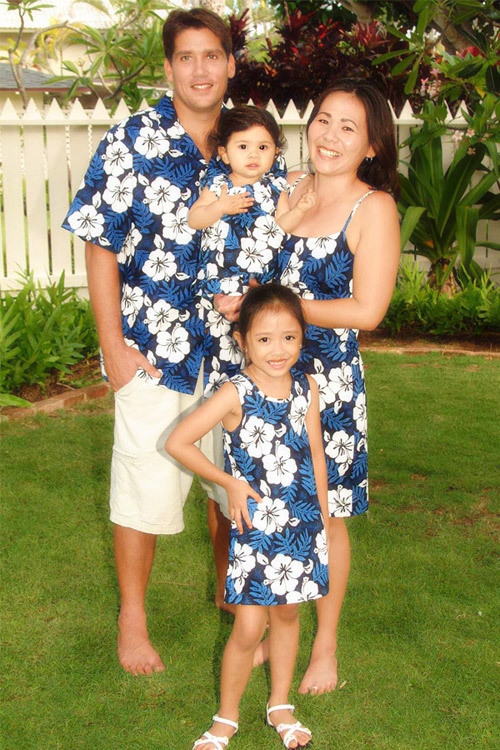 Please email mauiman@mauishirts.com for further information. 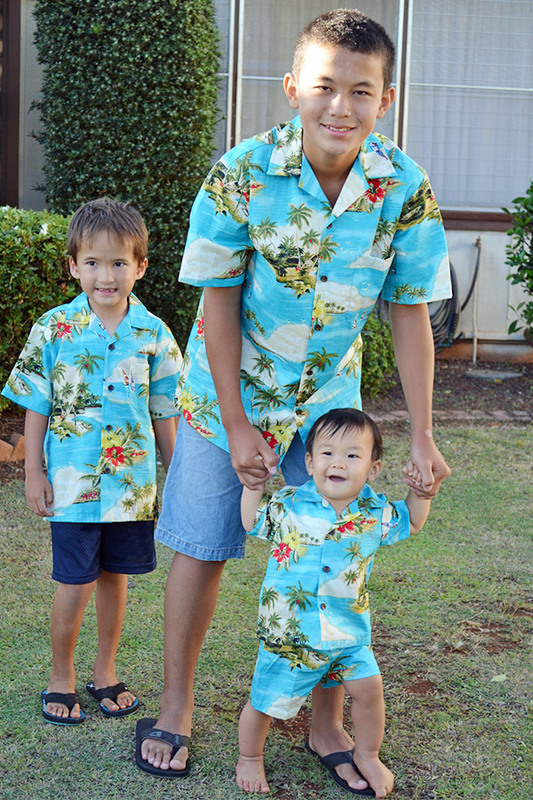 MauiShirts.com is the Hawaiian Aloha treasure chest offering over 500 original classic Hawaiian prints in many men's, women's and children's styles. 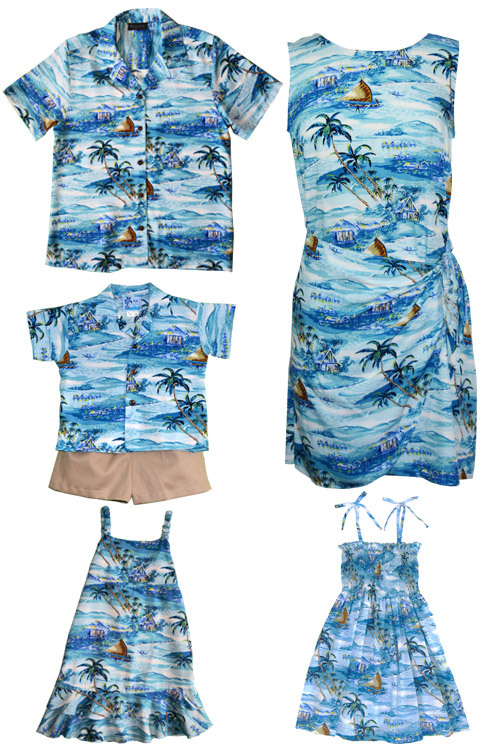 New Hawaiian prints are added frequently. 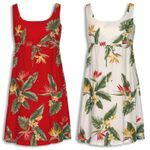 Matching Women's Blouses and Shirts for matching outfits can be found by using our Search "Find it Now" engine. Please use the Navigation Bar on the Left Side of your screen to view the different styles.